More inspiration with Sheri...and one more! Hello again! I'm willing to bet that you're all just as anxious as I am for SCT's winter release. I can not wait for all the wonderful ideas and inspiration that I just know are waiting for me. Only 2 more days to go!!! While we're waiting, I'm excited to be back today to share some more insight on finding inspiration...and not necessarily where you may think to look. I recently found that I had a little bit of unexpected free time on my hands. This very rarely happens, so I wanted to be sure to make the most of it, and get a jump start on my holiday cards. I could have easily turned to last year's winter issue for inspiration, but opted to mix things up a bit, and turn to my fall issue instead. I absolutely love Vicki's designs featured on page 29 of the fall issue. They are so versatile, and can easily be adapted to suit any occasion. By swapping out flowers for snowflakes, and a row of tress for adorable penguins decked out in hats, mitts, and scarves, I was easily able to relate Vicki's wonderful fall greetings into festive holiday designs. Looking for last minute card, tag or gift ideas? Then look no further than SCT's brand new holiday countdown! Starting December 1st and running through December 24th, join 24 of our favourite designers for 24 days of holiday inspiration! Visit our website tomorrow at 10:00 a.m. when the fun starts! And, 2 more sleeps until the winter issue launches! Join us Friday right here for all the fun and...a fabulous giveaway! I am happy to be back this morning with a little trick which saved me some grief a few Christmas card seasons ago. We moved into our current home in late October 2009 and for the life of me I could not locate our tripod. I always include a photo of all of us on our Christmas card but it’s hard to get a good shot at the right angle, using a timer, without a tripod. Luckily I remembered a little tidbit which I had heard at a photography workshop my husband and I took when we were dating over twenty years ago. Don’t ask me what I had for dinner two nights ago but you can bet I will lock in photography tips when I hear them. It just so happens that the screw which some lights have to hold the lampshade in place is the exact same size as the mounting hole on cameras which is used to attach them to tripods. Classes are now up for viewing on our website HERE! Registration opens on Monday, December 5th! Tackle a creative block...and one more! "From time to time, we've all suffered a case of what we know as "scrappers block." We're arranged and rearranged papers, photos and embellishments, unable to achieve a desired effect. Suddenly, you find that your beloved hobby is stressing you out just a little. Sometimes you just have to give in and create a page, while telling yourself that it's OK if you don't love it, and that not every page has to be a masterpiece. 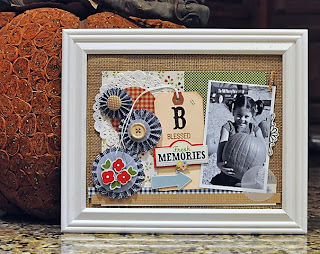 One of my favorite cures for getting over a case of scrappers block though, is to find a layout that inspires me, and create my own version of it. By doing so, the hardest part is essentially already done for me. All I have to do now, is pull out those photos I've been wanting to scrapbook, along with some favorite supplies that I've been just waiting for the chance to use. Sometimes I follow the inspiration piece right down to the very last detail, while on other occasions, I have found that once I got started, the design seemed to take on a life all of it's own. All I really needed was that extra little nudge to get me started. My favorite places to turn for creative inspiration include scrapbooking magazines, blogs, websites, or my very own scrapbook albums from days gone by. I recently turned to the gorgeous Fall issue of Scrapbook & Cards Today to be inspired (you can view the magazine in its entirety here). Becky Fleck's layout featured on page 5, entitled "One Fall Day" instantly captured my attention. I was drawn to the wonderful large strips of patterned paper, as well as it's clean lines, which very much resemble my own personal scrapbooking style. Aside from lowering the placement of my photos, and opting for a single decorative edge, as opposed to three, I followed Becky's design very closely. Even though I'm unable to take credit for the actual design of my layout, it's one that I'm excited to add to my album, and it did just the trick to get me creating on my own again. We'd all love to see your takes on layouts that have inspired you from the Fall issue. Be sure to link us to them under the comment section below. Join me again on Wednesday, for some more wonderful inspiration from the Fall issue. Classes for Crop & Create Winnipeg go live on our website for viewing TONIGHT at 7:00 p.m.! Mark your calendars (hopefully your new 2012 PageMaps calendar!) as registration opens for Crop & Create Winnipeg one week from today on December 5th at 7:00 p.m. EST! Winnipeg, we are coming to town with some fabulous classes, a full marketplace that will be open to the public and guess who else is joining us? Caroline Lau from Maya Road for an exclusive class and fabulous make n' takes. Learn more at 7:00 pm tonight right HERE! We just received the 2012 PageMaps Sketch calendar in the office yesterday and it is beautiful! Yes, we did a little happy dance when we saw the truck pull up and could not wait to dive into the boxes! Love the new redesign that includes a step-out-technique each month and even larger sketches than last year's calendar (thanks to our readers for suggesting that...good call!) The bonus PageMaps and CardMaps are fabulous too! This is a perfect "to me, from me, love me" gift or a great holiday gift for a crafty friend. Inspiration all year through for only $9.95! If you have not ordered one yet, we only have a few boxes left so order now here! For those that ordered one, they are on their way to you as we speak. We just had to share! Hope you are having a great weekend! Ninabrook Kit giveaway worth over $100! Good morning! Of course with "black Friday" here we had to do something even bigger right? Well our lovely friends at Ninabrook Designs were more than happy to offer something very special just for YOU! - a copy of our brand new Winter issue! Great "black Friday" offering? We thought so too! So be sure to not only leave a comment below by Thursday, December 1st at 6:00 p.m. but to also go "like" Ninabrook on facebook and be sure to tell them that SCT sent you! We are just gathering last week's subscription winners and will announce those on Monday! And speaking of Monday, we will be releasing the fabulous line up of classes for Crop & Create Winnipeg being held at the Winnipeg Delta hotel on March 23/24, 2012! And guess what, we are adding a marketplace too so everyone can join us! We have a surprise guest too so be sure to check back on Monday for all the details. Registration opens on December 5th at 7:00 p.m.! 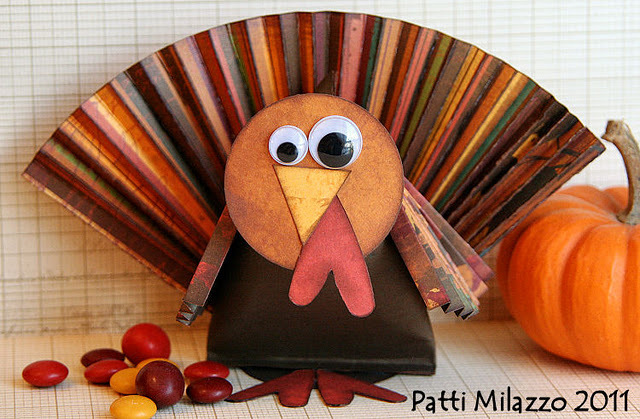 First we would like to wish all of our US friends, readers, sponsors and retailers a very Happy Thanksgiving! My the warmth of friends, family and good food lift you. Ashley Stevens for Pebbles Inc.
Suzanne Sergei for Pebbles Inc.
Have a wonderful Thursday and be sure to join us for a fabulous giveaway tomorrow!